Amor Collections is specialised in the development and production of shawls for most market segments. We are wholesalers and importers of collections from well-established producers from various parts of India, a country which specialises in a high level of hand work. 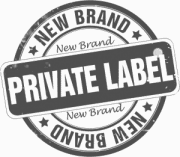 We produce for various brands under private label in the Netherlands. Our collection comprises of more than 3000 models in qualities such as: wool, silk, cashmere, pashmina, viscose, linen, cotton, modal and various combinations of these. Our colours and patterns are unique but cater perfectly to the seasonal trends. Our collection can be viewed in our showroom in Vught.